In the early 1990s, the Russian air forces found themselves facing the difficult position of possessing a large fleet of training aircraft, the majority of which were far advanced in age and neared the end of their feasible usage life. Significant quantities of these trainers were grounded as replacement parts necessary to keep them flying were scarce due to the cancellation of manufacturing decades earlier. Other aircraft such as the L-39 Albatross were popular among the flight training units of the former Soviet Air force but were approaching the end of their serviceable lives as well, therefore necessitating a replacement program initiated by the Russian government. At this point in time, the Italian Air Force was in need of a replacement for their MB-339 trainer aircraft and so, the Italian aircraft production company Aermacchi sought to form a joint development project with the Russian bureau Yakovlev, saving a bit of money and time for both sides involved. The final product of this program would be the Yak-130 Mitten/M-346. 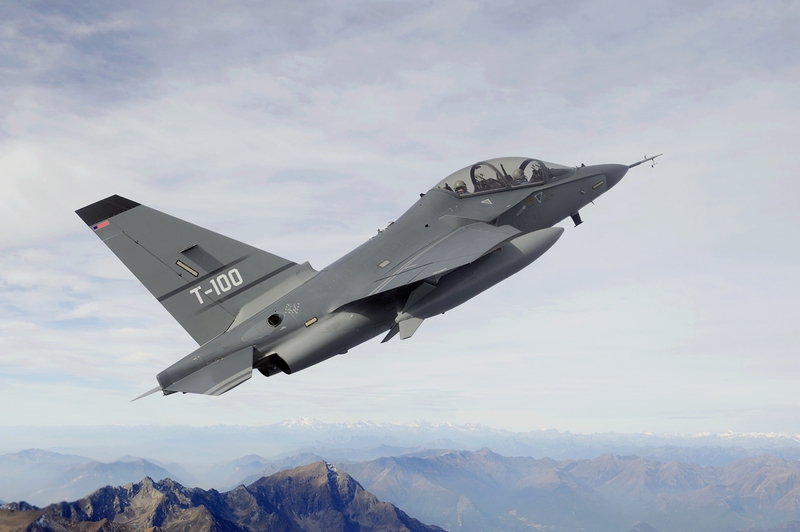 Trainer jet aircraft are designed to give new pilots a feel for their future airframes, in most cases, fighter jets. Therefore, the cockpits of these jets are configured to be similar those of the aircraft pilot trainees will eventually fly, accustoming them to the instrument clusters. These trainers are also built to mimic handling characteristics of fighter jets closely, also to give trainees an idea of the behavior of their service aircraft before they actually get to fly them. Thus, the 130/346 was built from the ground up with the ability to replicate the behaviors of late-model Sukhoi fighters including the recent T-50, the first ever Russian stealth fighter and in the case of the Italian variant, the famed Eurofighter Typhoon. The 130/346 was selected from a group of proposals put forward by a few of the usual Russian aviation firms (i.e. Mikoyan, Myasischev, Sukhoi and Yakovlev) in 2002 after a 12-year competition between the Yak prototype and MiG’s design, called the MiG-AT. Along the way, a light attack aircraft variant of the Yak 130 was considered by Russian military officials but was then dismissed by the Russian Air Force as it was inadequate in terms of “enhanced pilot protection” necessities. The 130/346 first flew in 1996 and the first production aircraft came off the line in 2004, flying that same year. 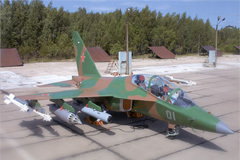 The Russian Air Force placed orders for the acquisition of 72 Yak 130s for its training units, the first aircraft of which was delivered in late 2012. International interest was garnered between the Russian and Italian models, opening the sale of aircraft to countries such as Algeria, Belarus, Bangladesh and Syria for the Yak 130, and from Italy, Israel and Singapore for the M-346. 6,600 lbs of current front-line weapons available to fighter aircraft in a combination of either guided or unguided munitions. Hardpoints can also carry auxiliary fuel tanks.